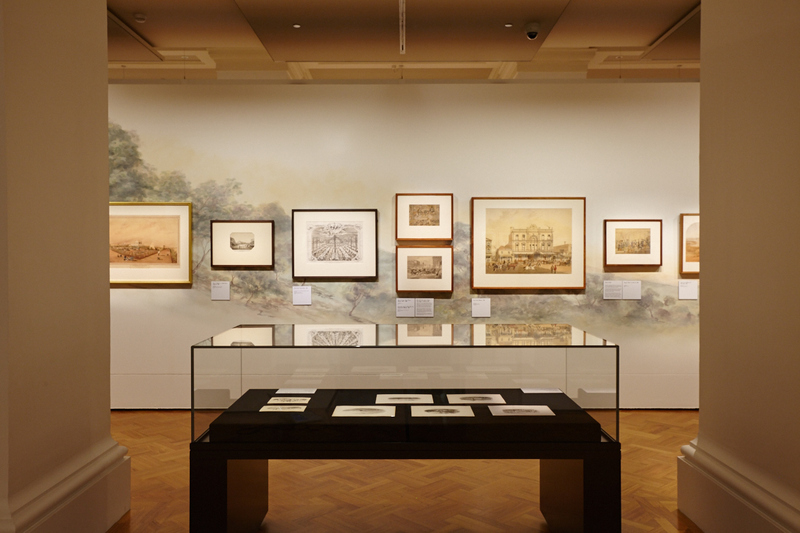 This is the final week to see our acclaimed exhibition Australian sketchbook: Colonial life and the art of ST Gill. 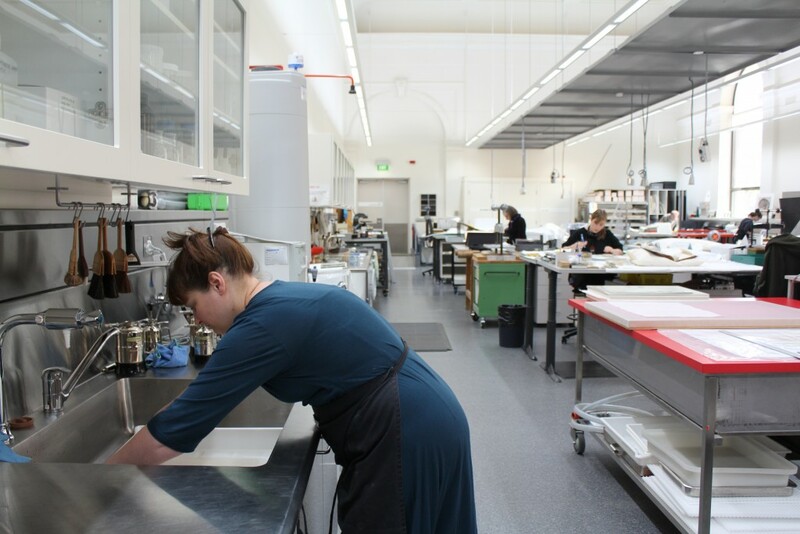 Closing Sunday 25 October, the exhibition will travel to Canberra next year to be exhibited at the National Library of Australia. 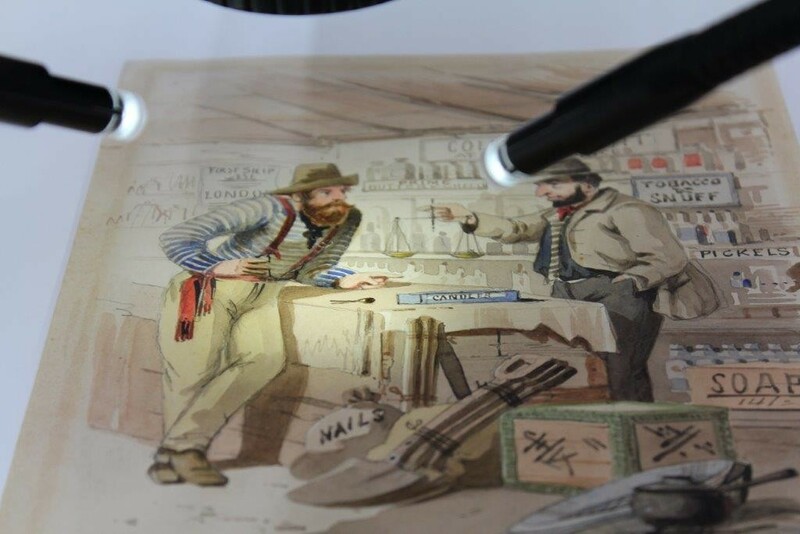 Visited by more than 60,000 people to date, Australian sketchbook displays more than 200 evocative paintings, drawing, watercolours and prints by 19th-century Australian artist ST Gill. Through his art, Gill interrogated Australian society, presenting some of the most memorable images of urban and rural life in colonial Australia. 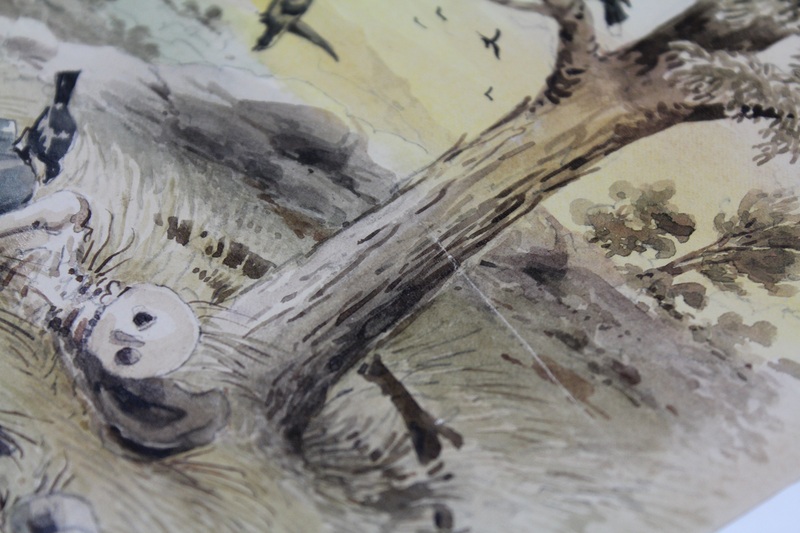 ST Gill’s work on display in the Keith Murdoch Gallery for ‘Australian sketchbook’. Photograph: Andrew Lloyd. Many of the exhibited works come from the Library’s own collection, each carefully assessed by our Conservation team to ensure their condition won’t be effected as a result of display. Here, the team outlines some of the processes they undertook when preparing Gill’s famous images for this exhibition. A number of S.T. Gill’s artworks display fragile areas of watercolour where a gloss medium or glaze, which was used by the artist for highlights, has aged differently to the surrounding media. This condition is commonly described as crazing. Left untreated these areas can continue to fracture, eventually resulting in the loss of affected media. To prevent further damage, a consolidant is often applied to the affected areas using a very fine brush under high magnification. Areas of media loss, particularly those associated with mechanical damage, can be visually disfiguring to works of art. To restore visual continuity, such damage can be retouched using reversible techniques. In this instance, the crack was restored by first applying a barrier layer and then retouching over the top using watercolours. A dotting technique was implemented to break up the white line of the crack. When heritage items come into the Library collection, they come with a past. 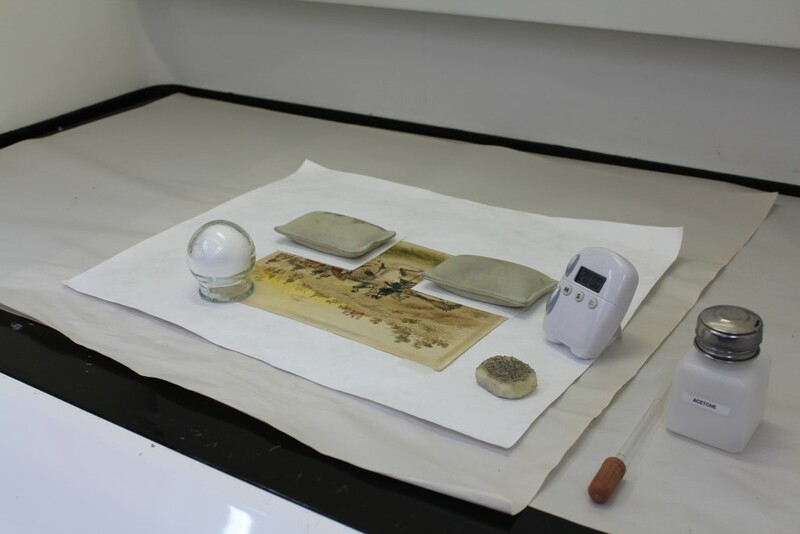 In the case of artworks on paper, they often have such historical evidence as early frames, old repairs or other restoration efforts, and various layers of dirt and dust. In this instance, a fine layer of paper fibres embedded in PVA adhesive along the perimeter of the artwork indicated the past removal of an historical window mount. 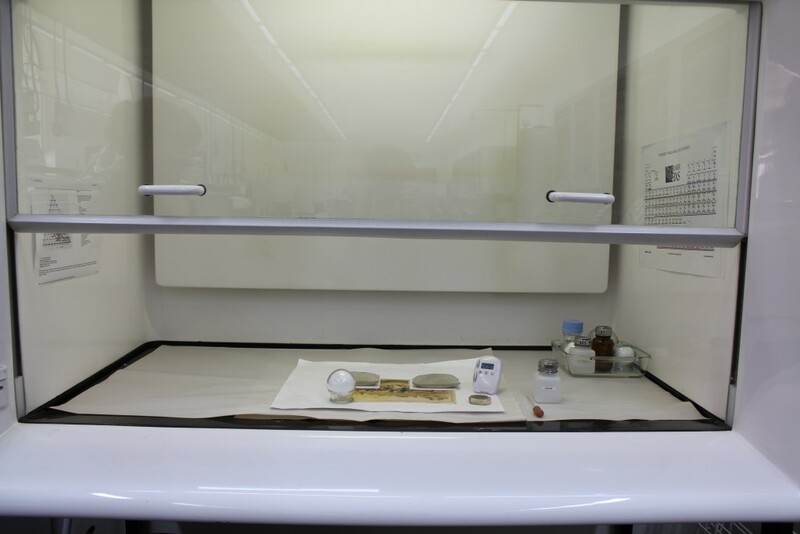 To reduce the adhesive residue, a solvent chamber was placed over the affected areas for set time intervals until the adhesive swelled, enabling its safe removal using a crepe eraser. Washing can be a useful tool for reducing the stains and discolouration that accumulate in paper-based artefacts over time. Many of S.T. 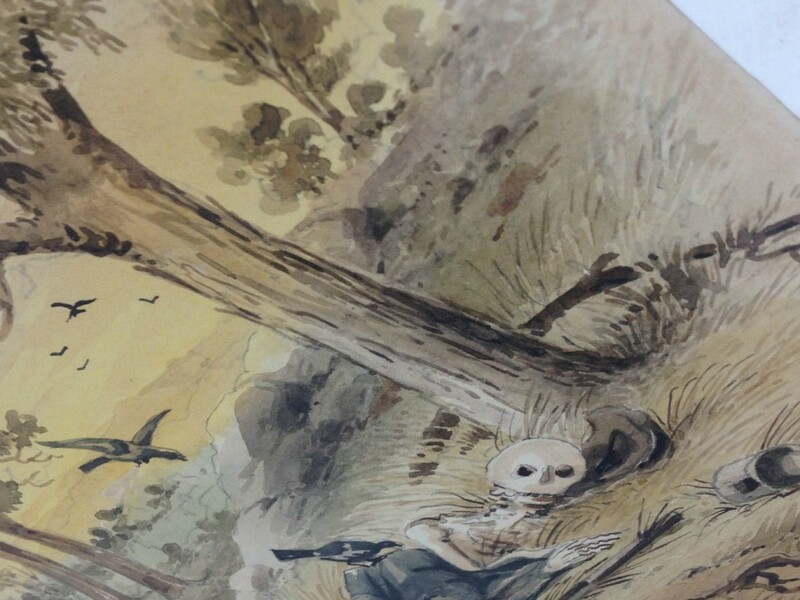 Gill’s prints, such as this chromolithograph, display brown discolouration commonly associated with light damage and exposure to atmospheric pollutants. Paper conservator Marika ‘washing’ an ST Gill work in the Conservation lab. 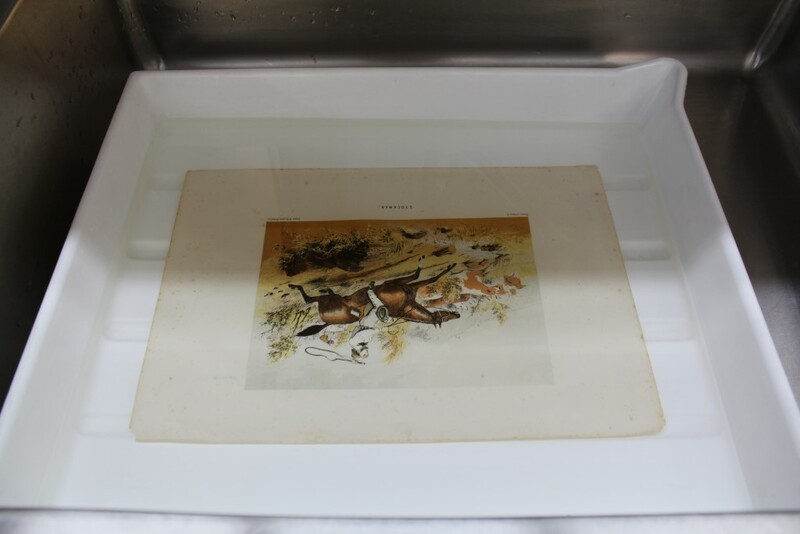 Following a humidification treatment, this chromolithograph was fully immersed in an alkaline bath of deionised water for set time intervals, and then pressed between felts until dry. After treatment the paper appeared cleaner and brighter, with improved contrast and vibrancy within the printed image. You can see each of these works, along with more than 200 others, on display this week in our Keith Murdoch Gallery. Open 10am–5pm until Sunday 25 October (9pm on Thursday 22 October). The exhibition is complemented by a new publication ST Gill and his audiences. It is rarely, for viewer who is an art lover, to definitely observe how an artwork is painstakingly preserved and conserved. This is an example of how culture respect the artistic creation by its avid serious artist. This is highly admired and commended. 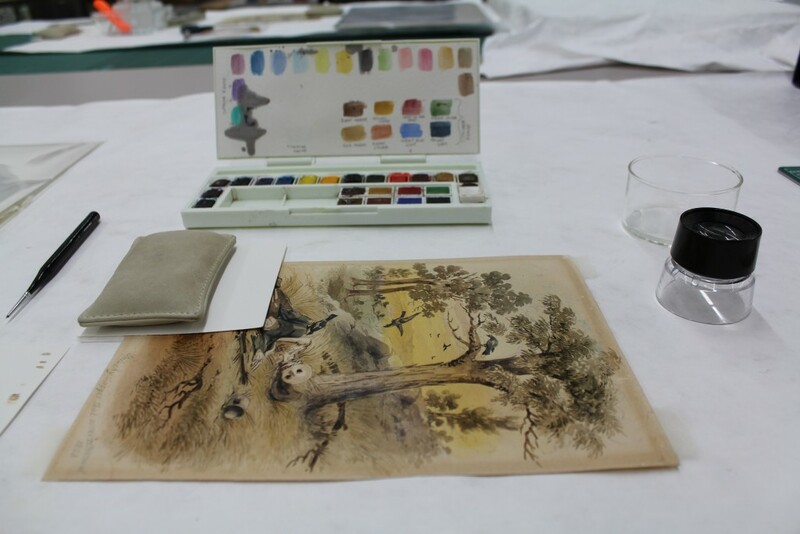 I find conservation of art works absolutely fascinating. 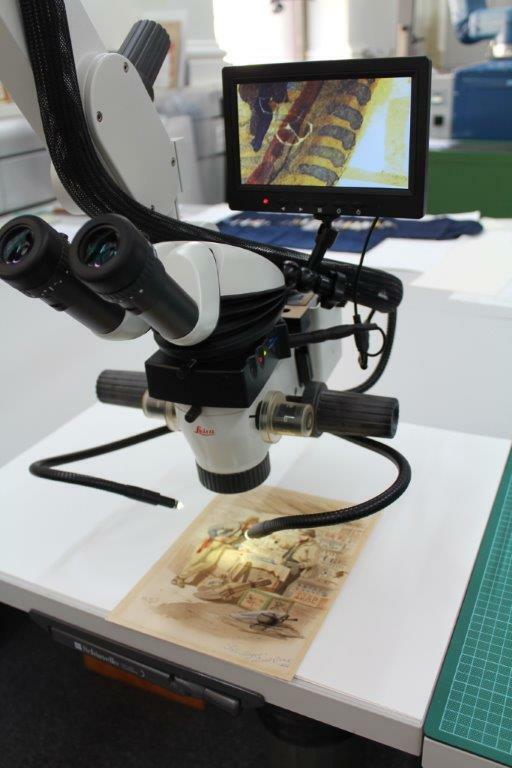 The techniques used to restore paintings; the painstaking, fine work that is needed when touching up and the knowledge and expertise is extraordinary. Thank you for insight Sarah. I loved the exhibition and now also know how much extra work went into it.